As someone who can get pretty obsessive about both reading and video games, I keep expecting gamebooks to grab me by the throat. It seems as though they should be perfect for that: part game, part book, all gripping entertainment. Most of the time, however, I find them a bit thin. Not enough game to really sink into mechanically, not enough book to really reel me in. Sorcery! ($4.99) managed to keep me up well past my bedtime, though. 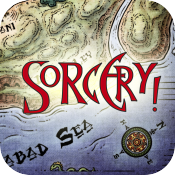 Inkle offers the same expertise they displayed in bringing Frankenstein ($3.99) to life to the task of drawing the magic of Steve Jackson’s Sorcery! out onto the screen. At least in part: thus far, only the first of the four books of Sorcery!, The Shamutanti Hills, is available. 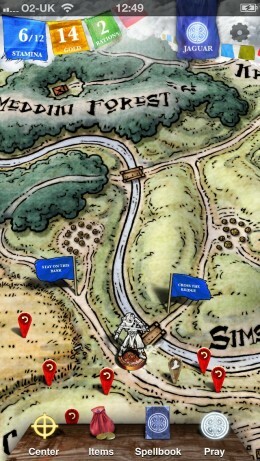 The journey through those hills is still a gamebook trip, no doubt about it. There are stats, interactive combat scenes and plenty of big decisions to be made. It’s just that nothing feels restrained; nothing feels all that formulaic. Sorcery! goes big where needed, and the app shines for it. Take combat. You can put your dice away, because this game’s combat feels like it’s less about numbers and more like making the right call for the narrative at hand. The numbers are there, mind, but the text is the key. You and your enemy stand across the field from another. The text indicates his stance, and you react to it by dragging your character back and forth in a rock/paper/scissors manner. Lunge, defend, or strike carefully: whichever you choose, the narrative reacts. Your enemy shows signs of weakening. If you’re as much a sap as I am, you might even feel bad for them as you drive them into the ground. Overcoming the enemy can be a challenge or a cakewalk, but even when you stomp them you need to take care. You have a very limited pool of stamina, and each blow—glancing or heavy—will eat away at it. Mistakes you make come back to haunt you. Your gods occasionally deign to heal you, but it’s easy to lock yourself into an impossible situation. Thankfully, Sorcery! always lets you go back in time. Even if you don’t play yourself into a corner, you might find yourself glad for the chance to go back. I’m a bookmark abuser in any gamebook—sure, I want to explore that sketchy looking cavern, but I’d also like to live out my journey, thanks. Sorcery! skips the bookmarks and simply lets you set yourself back to any previous decision at will. Doing so might take away some of the immersion, but so does handling a list of bookmarks in more skeuomorphic games. While combat adds literary elements, exploration adds artistic ones. If you have to decide to go left or go right, it’s to drag your character along routes on a topographic map of the hills. It may not drill down into villages or caves, but it feels just a touch more involving than to flip to page 53. Spells also get a bit of love, but this doesn’t work quite as well. 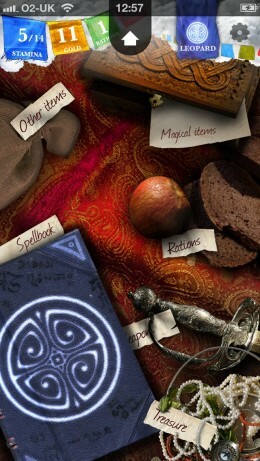 You have a spellbook to page through, with a huge pile of spells. Each is situational; many require special reagents. Whenever an opportunity for magery pops its head up, the game gives you the option to cast a spell. Then you peer deep into the source of magic, drag letters around until they all settle into place, and cast. It’s a pointless process, one that serves to make spell-casting feel a bit more interactive but does nothing else. Harmless, though. The only real bummer is how quickly it’s all over. Once there are two or more books in the series, the experience will have more heft. As it is, the potential feels a bit unexplored. 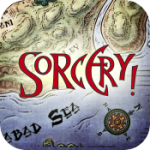 You can spend a good chunk of time exploring the different paths of Sorcery!, going back and taking the routes untaken, but it still feels painfully like you’re trapped in the introduction to a much larger tale—because you are, of course. 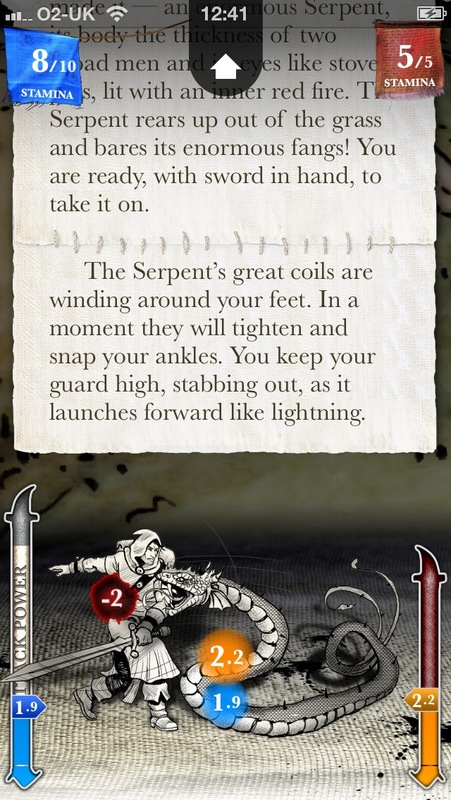 There are spells that will only tease you, hooks that go nowhere, and a save system that will keep you tracking all your completed files until the next book is eventually released. When the four-book work is finished, Sorcery! is likely to be one heck of an impressive gamebook experience. 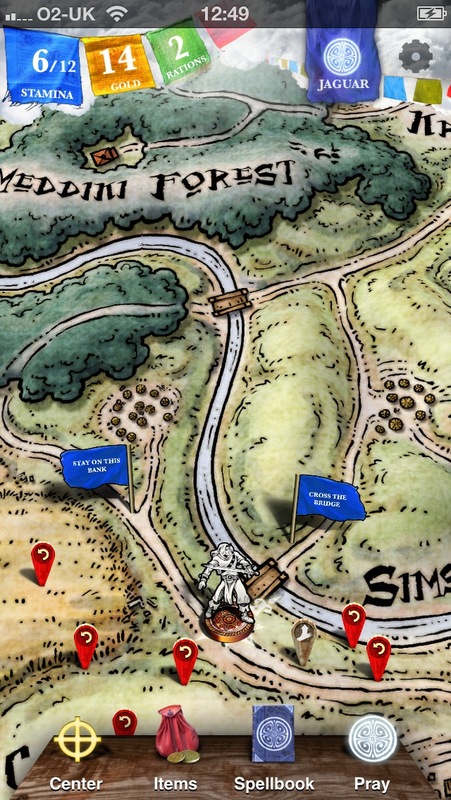 Inkle’s groundwork is fantastic, making for an unusually vibrant piece of interactive fiction. It’s a bit like a prologue at the moment, but every journey has to start somewhere. This one gets off on the right foot.